The Eleaf Aster Kit is an all-in-one kit which comes with 1600mAh built-in battery and 2ml capacity tank, the e-liquid can be refilled easily by simply unscrewing the top-cap. This kit delivers you great vapor and flavor. The Eleaf Aster Kit is an all-in-one kit which powered by an internal 1600mAh battery, it integrated a 2ml capacity tank and the e-liquid can be refilled easily by simply unscrewing the top-cap, that helps to reduce the chance of spills when adding juice as well. This kit is made with zinc-aluminum metal alloy, which is robust, anti-rust, anti-corrosion and tough enough to withstand daily use. 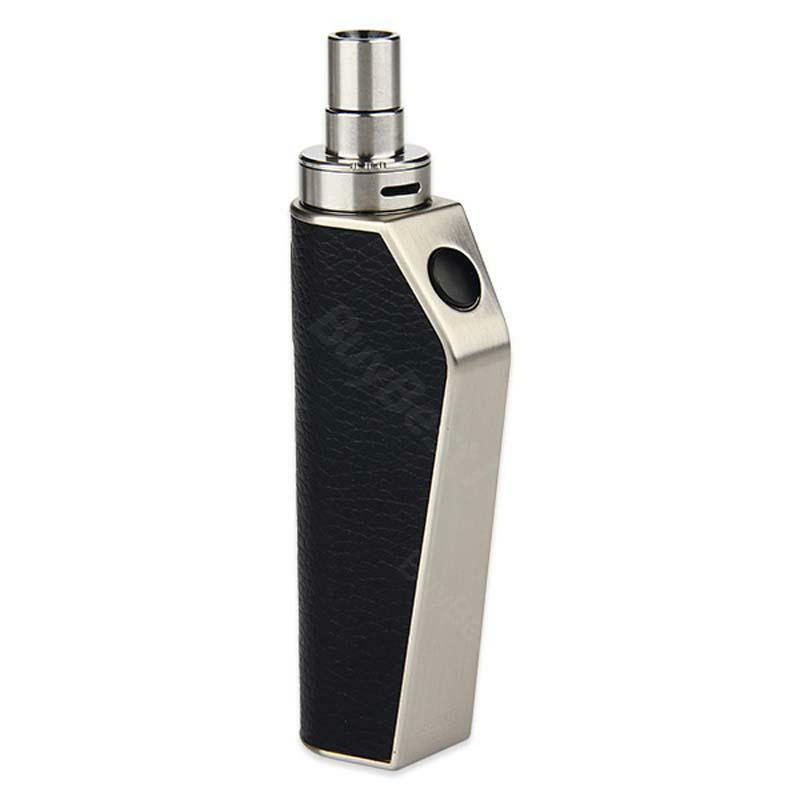 Adding the gorgeous leather cover on the MOD, it will not only increase the elegant of appearance, but also comfortable grip. It also comes with 2 pieces leather stickers in the package that you can change the color of your ASTER Total Kit whenever you like. Featuring with user-friendly, exceptionally well-performing, compact and easy to carry, the Eleaf Aster Total Kit delivers you great vapor and flavor. Received the package sooner than expected. Great delivery timing. Awesome. I purchased Eleaf Aster Total Starter Kit for travel and it is everything i hoped for. Fits everything I need it. Die Kartuschön sind geschmacklich sehr lecker und schmecken natürlich, nicht übersüsst wie andere. Ich fand Eleaf Aster Total Starter toll .